Amelia Spaceheart is an environmentalist in the space. 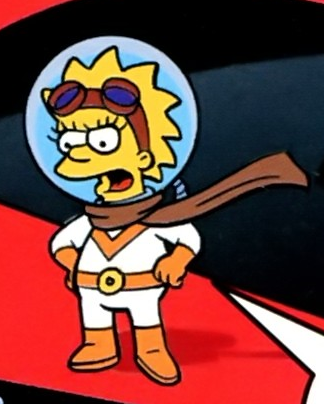 Amelia Spaceheart appearance in a story by Lisa she told Nebulous Waste Management to stop dumping space garbage into a black hole and start recycling. The driver was surprised when he saw her for he thought her spaceship was lost forever but he had wrong. The name is a parody of Amelia Earhart. Comic story – Brew Ha Ha! Modified on January 14, 2018, at 08:07.